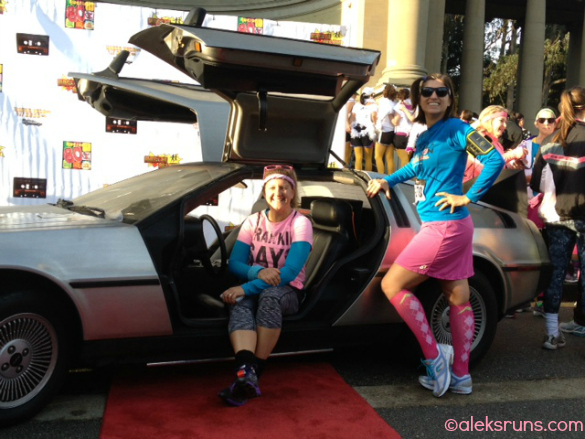 As I write this nearly six hours after finishing today’s 10K — the Awesome 80s Run in San Francisco — I still don’t know my race results. Come on, people. What is this, the 80s? Mediocre jokes aside, this run lived up to its name: it was awesome. Was it a good race, though? Meh. As far as entertainment goes, it was absolutely fantastic. I was submerged in a sea of neon green and hot pink from minute one. 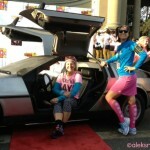 Leotards, spandex tights, leg warmers, headbands, scrunchies, side ponytails — galore! I mean, when and where else do you get a chance to see thousands of people dressed like that? But if you came to race this thing, rather than run with a bunch of friends in amazing outfits, you probably went home a tad annoyed. I believe this was an inaugural run of its kind in San Francisco, but it has already been held in several other cities (and more are scheduled). Some of the little kinks that took place could’ve – and should have – been worked out in advance. When you’ve got several distances running the same course, start the longer one(s) first. You’ll avoid delays — as well as short-distance finishers gobbling up all the water and food at the end. The course itself was two loops [of a lake — I’m sorry, I really don’t know Golden Gate Park well]. There was only one mile marker, at mile 2, which we passed twice. No others. It didn’t help that my RunKeeper pooped up and ended up counting 4.86 miles in 41:46 minutes [where did the other 20-ish minutes go? Back to the Future?]. So I basically didn’t know how long I’d gone and how long I had to go the entire time. Running this way with the discomfort (OK, pain) of an injured foot made me a little cranky. The start was congested, but that’s to be expected at bigger races. The problem was, the Finish line was congested, too. I crossed at 1:31:00-something. Oh, that’s right. The clock was set to time the 5K, and the 10K runners started more than 40 minutes later. 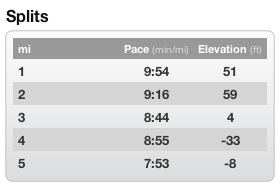 With an inaccurate RunKeeper, I had no idea how fast (or slow) I had run, and yes, that made me a little crankier. – the Finish area water station was set up literally five feet from the Finish line. The Finish line was in a tight enough space to begin with, so this definitely didn’t help crowd-wise. I had to wait around for at least a few minutes to get water, while more people were crossing and lining up for the same. 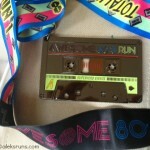 – I then had to also wait for my medal to be unpacked from its bag and handed to me. – Other than a super-long line for coconut water (poured and handed out in small cups, not even individual-sized boxes or bottles), I saw no food. A bagel, apple or banana would be nice next time. 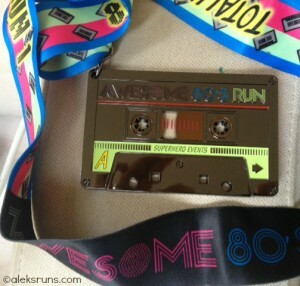 But the medal was cool – BabyRuns loves it – and in the end, I laughed more before, during and after this race than I’ve laughed at any other. 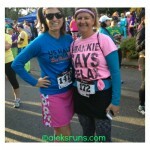 I don’t know if I’d do this run again, but if I did, I would definitely go with friends and, this time, I won’t hold back on the headbands and scrunches! I have absolutely no idea what happened to my phone/ RunKeeper and why nearly two miles were lost in time and space. P.S. the organizers just posted links on their Facebook page to the race results… but the links, going into someone’s Gmail account, don’t work. This looks so much fun…maybe it’s one to run for fun, rather than speed!!! I miss scrunchies!